2 Days 1 Night: New Destination-New Island from Phuket. Koh Payam Island is very popular for slow light holiday, It covered by 12 beaches surrounding. The weather on Koh Paym is very nice (No pollution) because there is no any car on. The people use just motorbike which can ride pass the small road (Good for Motor Bike only) to explore all the beaches and area of the nature, every small hotel, and every corner of island mutual. All the land of the island covered by trees, rubber garden, Cashew nut gardens and completed tropical forest. The hard to see birds, wild animals can be find easily on the Islands. The local people are also nice friendly. There 12 beaches all around the Island, some beaches are very nice both swimming, snorkeling, relaxing or walking to see both sunrise and sunset. Wow, wow, "No one can complain" This word can use with "Koh Payam." Jc.Tour Phuket is set up the private trip (Private Only) to take the people from Phuket, Krabi or Khowlak to visit Payam Island. Please see the highlight pictures and all the program detail before submit the booking. Strange Stone is the signature point to see, it's located on the beach between the sea and the jungle. The tourist love to take a nice photo and discover the sea by snorkeling. Or walking a long the safari to see the wild life. Hippy Bar is the world class reputation is built by the broken wooden piece, It's located on Buffalo beach. A must place to see and take a drink for Payam Island. Funny beach living life on Aow Yai Beach, the longest beach on the Island. The people love to walk along the beach, Swimming or snorkeling on this beach. Payam Island View Point, The place is located on the top land of the Island, It can see over the Andaman Sea. And we serve the classic lunch on this point. On this package, we includes the Beach Bungalow Resort for your accommodation. It is the Fan Room (The weather is very fresh and cool, no need any air condition machine) located next from the beach. Just come out from the room and you can roll yourself to the sea. The Payam Temple has a chapel on the sea as well as the Buddha. Some building of the temple is on the Mountain and some is on the water. We will visit this temple as the last program of the package. 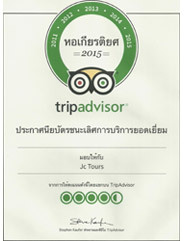 07:00 AM: Pick up from the hotel in Phuket, Krabi or Khow Lak) By Top VIP Maxus Minibus of Jc.Tour Phuket. 11:00 AM: Arrival Ranong Pier. 11:30 AM: The speed Boat leave from Payam Island. 12:30 PM: We arrival Payam. Lunch served at "Payam Sea Food"
13:30 PM: Tour Guide preparing the motor bike for every one (If you can ride Motorbike) But if you can not ride, We prepared the ...................in stead. 15:00 PM: And continue to Bamboo Beach. 16:00 PM: Check In at "The beach bungalow" It is on the Buffalo Beach. Enjoy your beach life, Swimming, Snorkeling, Walking on the sand along the beach and waiting for sunset. Visiting "Hippy Bar" The bar is built by broken wooden. It is very high famous, every one around the world must come to see this as staying on Payam Island. 07:00 AM: Visit the horn bill birds Place. Visiting Ao Yai Beach: We walking, Swimming or Start to do snorkeling one more time. Go up to Kew Lom Beach for snorkeling on the rock beach. The same VIP Minibus is waiting you at the pier and take you back to Phuket, Krabi or Khow Lak. Price: The Trip Booking can be confirmed at 2 people Minimum. R/T Land Transfer by Top VIP Minibus of Jc.Tour. 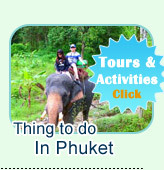 By this trip, we use the "Top VIP Minibus" to service just from Phuket, Krabi or Khoa Lak. 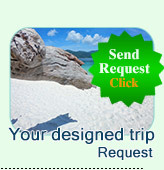 VIP Minibus can make sure that your travel from Phuket to Ranong will be very comfortable.